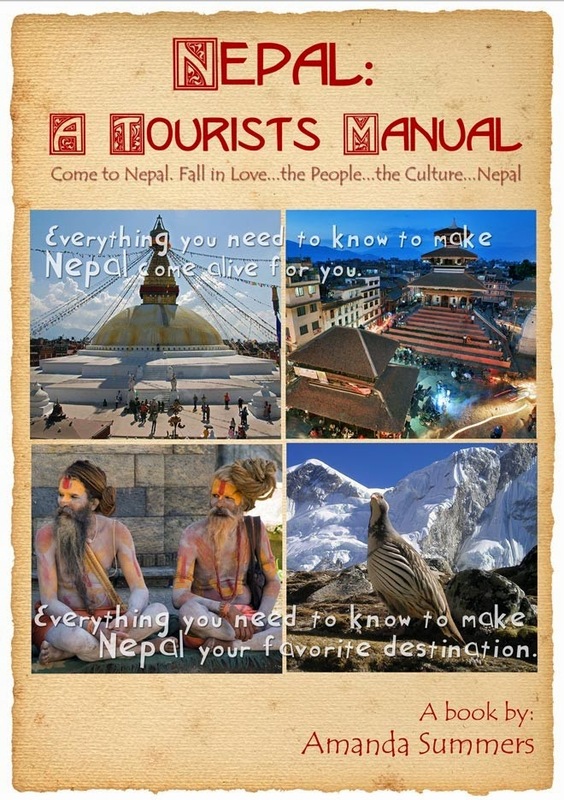 Nepal: A Tourist's Manual: "What's life really like here in Nepal?" you ask. "What's life really like here in Nepal?" you ask. People seldom know the question to ask, but there seems to be a communication gap when they mean to ask me “What are the differences between my life in the US and the day to day life I have now?” Unless you’ve gone abroad you have no idea what life is like here. The movies seldom portray third world countries, or the expats who live in them. So, movies either portray the wealthy class at the top of every poor country, or the local market-not much of anything else. My flat I had in Bhaktapur was the nicest place I had ever lived in, with a few exceptions within the structure. It was huge and well laid out, a rare thing to find in Nepal. The differences in the structure were that the kitchen didn’t have built in cabinets or an oven. The stove was only 3 burners with an LP gas tank like you may have used for your gas bar-b-q grill, which I had to provide for myself. Then there was an Indian/squat toilet. When I took the third bedroom there was another bathroom so I asked for a western toilet to be installed. After all the months without a western style toilet I found I preferred the squat toilet. I found that my knee and hip joints were a lot looser. One other major difference with the apartment was the fact that there wasn’t a closet in the entire apartment. Additionally, the windows were framed in wood and a bit drafty in the winter. There was no double paned glass, nor was there insulation between the floors-or anywhere else. Other than the window frames and doors, you probably couldn't find enough wood in the building to use as kindling to start a fire. Once outside the flat I would venture out and always had a nice time. I had a few merchants I would stop to visit on my way up the hill to Bhaktapur Old City. There were always holes in the brick or rock paved streets that looked more like little alley ways or foot paths than actual streets. I’d often have to step aside for a water truck, taxi or even motorcycle. Yes, the streets are so narrow you need to step aside for even motor scooters! However, you will see many more people walking than driving unless you go to the main roads. So, here I would have to walk all the way down the hill with two big bags of stuff on the way home. I’ve literally seen holes a person could hide in; I’ve yet to see a construction cone or construction sign except on the major highways. Buying things is always an adventure. You cannot just go to the grocery store with a list: dishwashing detergent, papaya, zucchini, eggs. I would have to stop at 4 places for this short list. Grocery stores are more like cookie stores, with a full two rows dedicated to cookies, candy and crackers with a row or two on each side for dry goods. That is the grocery store situation in Nepal. In Kathmandu you can go to the big department stores that will have just about everything, but the prices are 25% higher on a lot of items. However, you can get avocados from India, Oxy Clean stain cleaner for clothes, nice kitchenware and such. There are also several shopping malls in Kathmandu. They even have 3D cinemas. 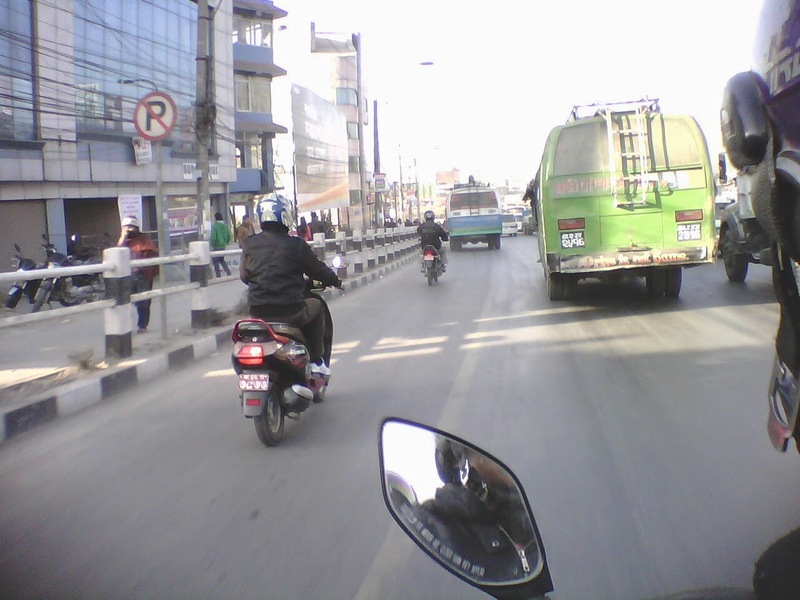 Generally, I start out with a list and go to Kathmandu on the back of a motorcycle or scooter. First it’s to the ATM machine. There used to be several ATM’s that didn’t have 400 NRs. charge for each international transaction. That list has dwindled down to only a few that either doesn’t charge a fee or allows a person to take 40,000 on one pull so there is only one charge to withdrawal around $400. Those bank names are in my eBook, Nepal: A Tourist’s Manual, and have many branches throughout the country. Next, we go to New Road for anything related to electronics. I like to buy the American TV shows put on DVDs for 30-50 NRs. Sometimes I have to pay more for a better quality, but they are all pirated, as far as I know. Then, for spices, nuts, candles, incense, sheets, I like to go to Asan area. There are thousands of venders there, some with shops and some without. Other things, like plumbing supplies, much be purchased in other areas. The government is working on the roads with a new zeal now. The improvements since I’ve been here have been quite nice. When I first got here people were dying almost daily trying to cross the highway between Kathmandu and Bhaktapur, but last year they finished several of the pedestrian bridges and have widened the major road (Ring Rd.) that circles Kathmandu. When I saw them working with such care to put the white stripes on the road I had to laugh because no one stays in their lane and I have actually counted up to five motorcycles abreast on a two lane highway, as they went around a bus. But there is seldom anything like road rage and mistakes get a head bob or a nod, so long as no one is hurt. New Road is not a road. It’s a neighborhood like Thamel. Since there are no road signs or actual addresses the city is divided into tiny districts. If you can find the district you will be close enough to ask someone or call to have the person you need to see come to receive you. Be sure you are near a big building or a good marker or he will never find you. There are a few excellent, non-tourist restaurants in the New Road area I’d like to mention. Yes, you can go to a myriad of restaurants attached to guest houses, but you will soon become tired of the same menu. First, Ramashwar Vegetarian Restaurant. This is right on the main street, just a couple blocks from the “New Road Gate.” You can get a variety of Indian dishes. They have a great variety of chat and dosa items, along with the normal items and an excellent pastry section. They are quick, usually bring the food at the same time and are priced at about 300 NRs. per person. It’s clean, quick and excellent. If you continue down that street you will see a big statue in the middle of the road and Kathmandu’s Darbur Square further down if you were to continue walking. But if you turn left at the statue and go to the end of that street you will come to tiny restaurant, also Indian style. But it’s quick and unique and low budget. It is also very clean. Then if you were to continue to the end of the street and turn right you will come to another excellent restaurant, Himalayan Burger. This is an excellent restaurant, too, more traditional Nepali, but somewhat upscale, clean and reasonably priced. Labels: daily life in Nepal, Living in Nepal, What's living in Nepal like for a Westerner? So sorry I forgot to mention the name of the little restaurant, the Manakamana Calcutta Eggroll. Amanda: Thanks for your "usual" detailed & interesting report about life/ events in Nepal. Looking forward to experiencing some of the "aforementioned" nuances;).....With Sincere Gratitude. 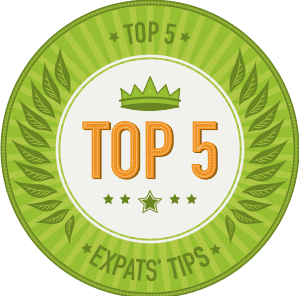 Really interesting post, I was looking for some travel blogs regarding Nepal and came into yours. Nepal is just like paradise for many travelers around the world, it's good some read these words for a visitor as well.